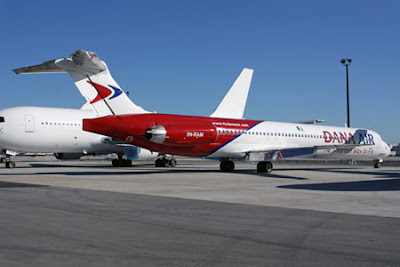 It’s been over 2 months since the Dana Air crash took place, claiming the lives of all 153 passengers on board but the bodies of the victims are only just about to be released. The Lagos State Government has announced that the bodies are ready to be handed over to the families of those involved, after undergoing DNA Testing in the United Kingdom. Speaking with the relatives of the victims today at the Lagos State University Teaching Hospital, state Commissioner for Health, Dr Jide Idris revealed that the bodies will be released in alphabetical order and in batches of 20. He also announced the process by which bodies will be claimed. “We have got some of the results of the DNA analysis from the UK,” he said. “The experts have revealed the results and we felt it necessary to brief the victims on the processes and documentation needed to claim the bodies. “We will release the bodies in batches of 20 in alphabetical order daily from Thursday, to reduce the chaos and to resolve some legal processes needed to claim the bodies. “The next of kin is in this order and they have to present legal documents before the bodies would be released to them,” he continued. “But, in the case where the next of kin is not available, he or she has to authorise someone else to collect the body with appropriate identification. “The authorised person has to come with the driver’s licence, national identity card, international passport and letter of authorisation by the next of kin,” he said.